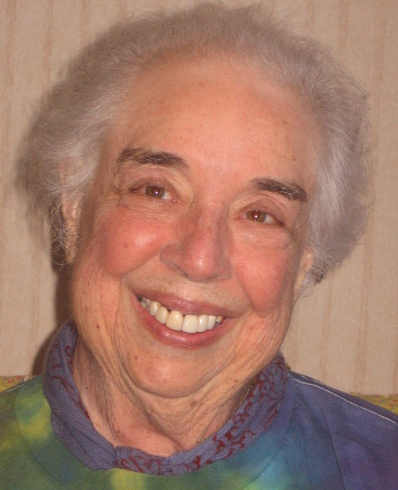 ANNA PAGE LUCAS (a.k.a., Mary Ellen McNelly) died peacefully on March 2, 2015, at Madrone Hospice House in Yreka (CA), after a long journey with cancer. A private funeral and monastic ordination ceremony was performed by monks from Shasta Abbey, Mount Shasta, CA, followed by a public ceremony on March 20 at the Abbey. Anna was born June 8, 1935, as Mary Ellen, daughter of Roscoe and Frieda McNelly, of Oakwood, Ohio, where she grew up and attended school. A child prodigy, she was put on stage with dramatic recitations by age 4. After graduating from Northwestern U, she taught at Fairmont High School, near her family home, before moving to California in the early sixties. At Los Gatos High School (CA), she enjoyed a long career as an inspiring and well-loved teacher of English and a valued colleague. A chronic illness forced her to retire in 1985. She tended her garden in Berkeley for two decades with her life-partner, Catharine Lucas, to whom she was married under the care of Berkeley Friends Meeting in 1988. Anna moved to Mount Shasta in 2001 to deepen her Buddhist practice. Joining the Shasta Abbey Sangha, she became a lay disciple of Rev. Jisho Perry. Though she was never strong enough to join the monastic order in life, that aspiration was granted at her death. Anna’s quiet presence and gentle wisdom were gifts to many. People of all ages and creatures wild or tame were drawn to her and happy in her presence. She is greatly missed. Memorial gifts may be made to Shasta Abbey, 3724 Summit Drive, Mount Shasta, CA.